By now, our monthly box should have arrived in hundreds of doorsteps around the country. Our February Puffer Box was dedicated to the main man, Bob Marley. The pièce de résistance was a beautiful 8 inch Sherlock glass pipe. Our glass blowers designed the piece in midnight blue and color changing transparent variations. Three unique rings decorate the neck of the pipe which extends to a generously sized bowl. 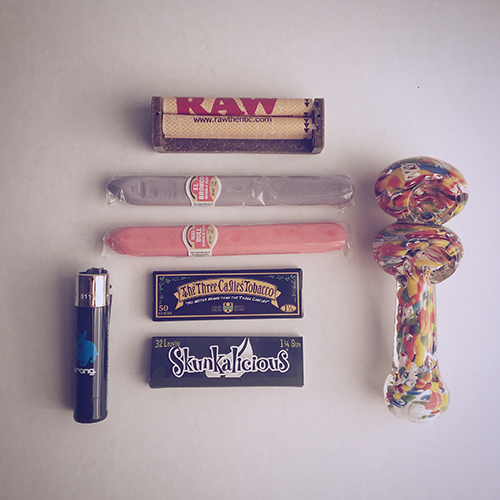 This box wouldn’t be complete without some rolling papers. 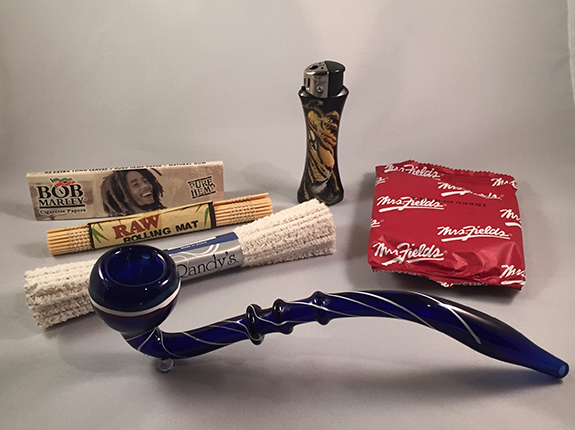 The Bob Marley papers included in this month’s package are made with pure hemp and have 30 long papers in each packet. Light up with the enclosed Bob Marley lighter. This curved piece is decorated with several Marley themed designs and the snake fits contours comfortably to one’s hand. Clean up will be a breeze with the Randy’s brand pipe cleaners. The soft bristles will gently clean hard to reach spots while keeping your pipe-wear scratch free. RAW has always been a fan favorite so this month we’ve included their all natural bamboo rolling mat. Finally, a soft macadamia chunk soft cookie was included to satisfy the munchies. Mrs. Field’s was selected from a variety of cookie manufacturers due to positive reviews and a solid history of yummy products. Hopefully, everyone has enjoyed this month’s offering. 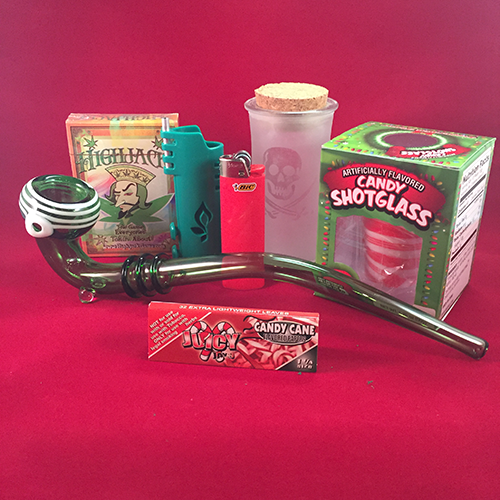 Sign up for your own 420 box by visiting our homepage. Also, be sure to check out the unboxing video below for a closer look at Puffer Box, February edition. Loving the boxes. Did a one month subscription to check it out. I made the video below and went for it. I will be doing unboxings for a while now! :-) Loving it! The Sherlock has been put to good use and is turning purple (I do intend to donate some pieces I get in these shipments locally to people with a need).